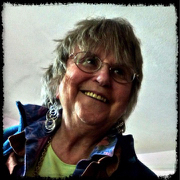 Dorothy Scotten received her PhD in Educational Studies at Lesley University in Cambridge, Massachusetts in 2003 and her Post-Doctoral Fellowship at Boston University Center for Psychiatric Rehabilitation (2004-2006). She is a Licensed Clinical Independent Social Worker in Massachusetts and received her MSW in Psychiatric Social Work from Smith College School for Social Work in 1981. She currently serves as part-time faculty in the Human Services division of the School of Social Service at Walden University (2007). Dr. Scotten has had a diverse thirty-seven year professional clinical social work career in counseling, teaching and administration within a variety of cultural settings in Europe, Asia, and in rural and urban areas within the United States. Her teaching experience has included courses in Social Work, Human Services, Sociology, Psychology and Counseling, Educational Psychology, Development and Learning: Psychosocial Perspectives, Issues in American Schooling, Arts and Human Development and Multisensory Teaching of Language Arts; Introduction to Special Education; Supervision and Evaluation of Instruction. Professionally , Dr. Scotten has presented workshops nationally and abroad on issues involving trauma and dissociation, Joy, Grief, Spirituality, the Expressive Therapies, Stress Management and Existential Therapy. Her primary research interest has been rooted in the examination of the correlative effects of early trauma on the dissociative process and involves corresponding emphasis on mental health, violence, and the developmental processes. Works in progress include a manuscript concerning preverbal trauma, healing and the soul and a book chapter on the value of Psychodynamic Therapy. A book chapter entitled: An eccentric mother in Motherhood, mental illness and recovery - Stories of hope, Nikole Benders-Hadi and M. Barber (Eds.) has been published by Springer International Publishing, in August, 2014.